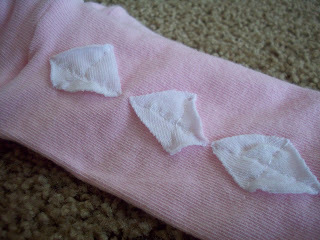 Literally dozens of tutorials exist to make these baby leg warmers, so I won't bore you with the fine details, but I finally made a pair for my L.L.Bean. She is a kid who loves the bottom appendages of her body. She is forever sliding on or taking off pants/shoes/socks. She unloaded the ENTIRE package of new socks for my hubby and literally tried them all on. (and in the process scattered them through the entire main floor of the house.) It was then I knew these would be a hit for her. LOVE the argyle addition! 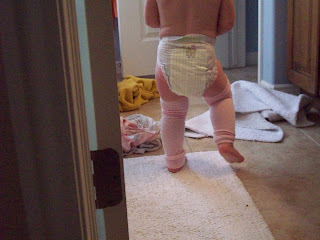 I could just eat my baby's squishy legs... gotta love the chub! 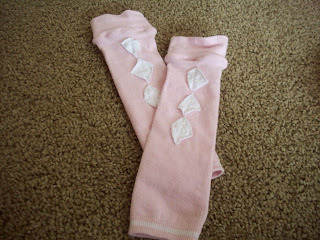 My oldest wore leg warmers instead of pants for potty training around the house, and they were a big help!